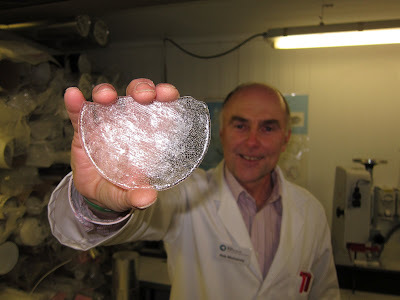 The ice core above contained bubbles talking about a time 175,000 years back. Quite amazing feeling to hear from such a very distant past. In any case, "Antarctic ice cores reveal the clearest link between levels of greenhouse gases in the atmosphere and the Earth's temperature. They show that the temperature of the climate and the levels of greenhouse gases are intimately linked. In 2004, ice core scientists at BAS working together with colleagues from other European nations successfully extracted a three-kilometre ice core from the Antarctic. This core contains a record of the Earth's climate stretching back 800,000 years - giving us by far the oldest continuous climate record yet obtained from ice cores." British Antarctic Survey, Cambridge, United Kingdom, March 2012. London in February: Global warming or pure luck?